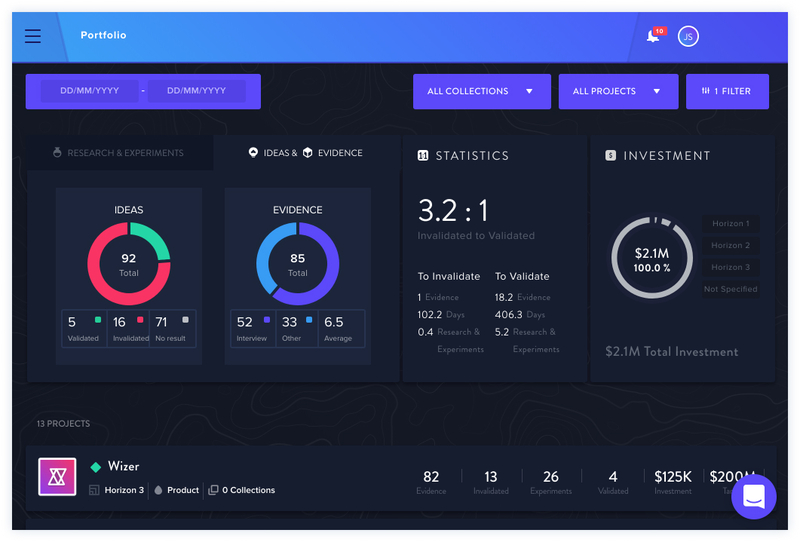 The Portfolio Dashboard aggregates all of the projects (active, backlogged and archived in all stages of development) that exist within your organization. This lists basic stats about your Discovery tasks ( by phase and completion status. View your Experiment Velocity (the number of Experiments run each week with regards to those that are validated or invalidated, as well as the length of time and evidence to determine validity). At Risk signifies experiments that are halfway to their due dates without any actions having been taken. Past Due refers to experiments after their due date in which no Evidence was added. Display and track the quantity of data (evidence and ideas) across projects. Synthesize projects and investments across innovation horizons or other strategic containers to ensure they align to greater strategic and growth objectives. Determine the quantity of Evidence and timeframe required for teams to validate or invalidate their ideas in order to determine their velocity and validity compared to a collection or the entire Portfolio. Filters are a great way to evaluate the progress of a collection as a whole as well as compare collections to one another. 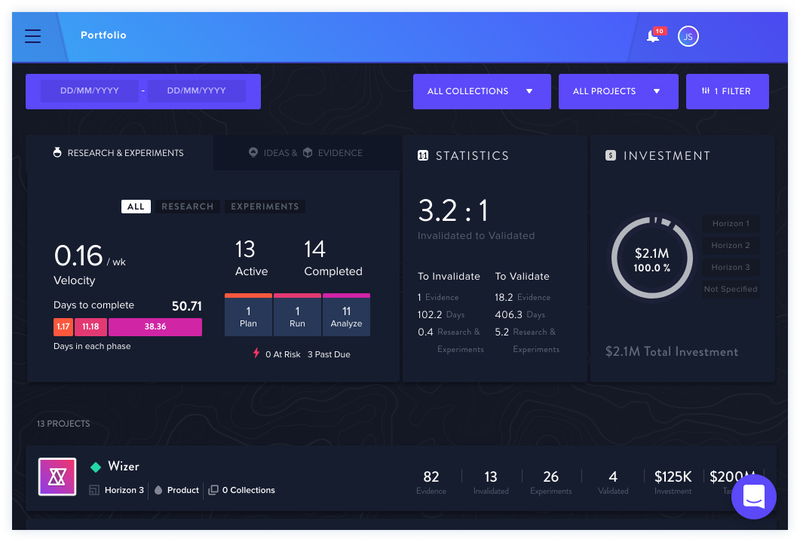 Any time you open a collection in GLIDR, it will automatically display a portfolio dashboard for the selection of projects within that collection. Find out more about viewing your Collections on the Portfolio Dashboard.